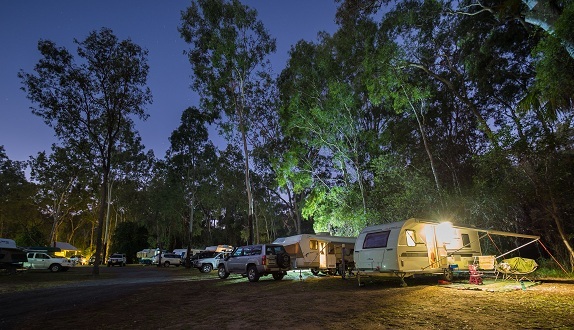 Camping in a tent can be a really fun experience and can make you a bit more in tune with nature and your surroundings, but going camping in a caravan can have its own set of perks as well. The biggest advantage is obviously the vast difference in your level of comfort as you can basically take a little piece of your home with you, along with a few everyday luxuries. These luxuries usually come in the form of a few devices that you always take with you wherever you go. Of course, if you don’t want them to die on the first day and not have a way to charge them, then you will also want to bring along an inverter with you as well, but which kind? There are two types and both have the task of converting the DC (direct current) power that is usually discharged from the types of batteries vehicles use, and changing it into the AC (alternating current) that most devices like the phone or laptop use. In order to do that, it takes the constant DC voltage and continually switches it manually so that the sine wave curve goes above and below 0 volts at a steady rate and by doing so emulates the AC voltage. The modified sine wave inverter is a much simpler system that can still transform the current, but to nowhere near the same effect as the pure sine wave inverter, which results in a much blockier signal as opposed to the one that the pure inverter produces because there are more steps involved. The difference between the 24V inverter pure sine wave model and the modified sine wave model is that the former is compatible with a much larger number of different electronic items and devices that you would have around the home. There is one field in which the 24V inverter pure sine model doesn’t have an advantage over the modified models and that is the price. That is because, as you can imagine, the conversion process that switches the currents contains certain components that are a bit more costly and as a result there is a difference in the prices between these two devices. However, this is money very well spent as it is those same components and their absence in the modified inverter that makes it incompatible with a large number of devices to the point where there is a large chance it may damage them. For my money, it’s better to be safe rather than sorry and pay a little extra to buy the pure wave inverter, rather than get the cheaper option, but soon having to buy a new laptop. Which Features Make a Good Flashlight for Camping? Editors Top Copyright © 2019.